Target’s bull’s-eye will be hard to repeat. After a big miss over the summer, the $43 billion U.S. retailer improved its marksmanship with an impressive jump in online sales and raised its 2016 profit forecast. Even so, Target needs more customers wandering its aisles over the holiday season and a sustainable plan to compete with Amazon. 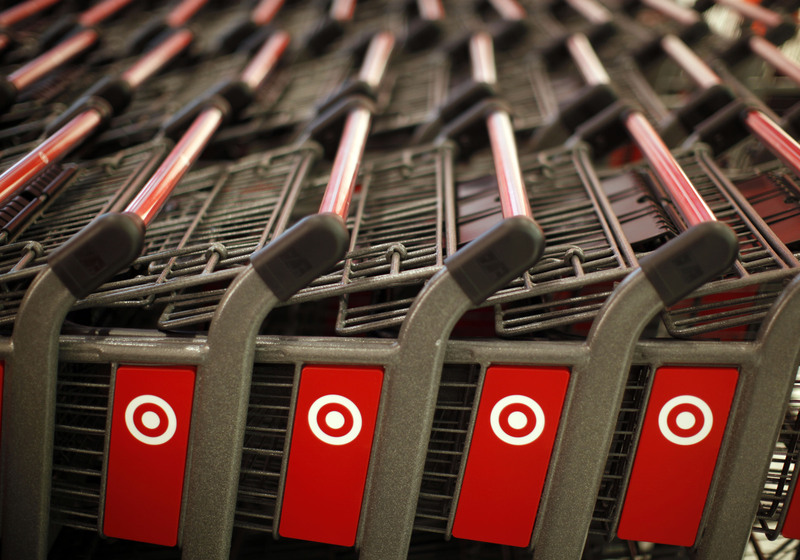 By most accounts, Target turned things around in its latest quarter. Although overall revenue tumbled nearly 7 percent for the three months ending Oct. 29, to $16 billion, the company surpassed profit and sales forecasts. More high-margin apparel, home and baby items flew off the shelves. E-commerce revenue also grew a healthy 26 percent. The results, which sent Target shares up almost 7 percent on Wednesday, represent a stark turnaround from the previous quarter when the company blamed a drop in demand for Apple iPhones and such for its weakness. A rocky grocery business and management shakeups augured more challenges. In August, it cut its full-year earnings expectations. This latest upswing may be short-lived, however. Chief Executive Brian Cornell was peppier about the final months of the year, but not especially cheery. Target expects same-store sales to be flat this quarter. Restoring growth in foot traffic is a priority. Marketing its 1,000-plus retail locations as pickup destinations for online orders can help. So too should opening new stores in cities like New York. Amazon’s product breadth and ever-speedier home delivery are formidable, however. Wal-Mart also is plowing headlong into digital with the recent $3.3 billion acquisition of Jet.com. Trading at just 13 times earnings, below many of its peers, could make Target a mark for investors. It’s just not clear yet the company can maintain a steady aim. Shopping carts are seen in the new CityTarget store in downtown Chicago July 18, 2012. Target on Nov. 16 reported better-than-expected third-quarter earnings and sales thanks to a strong back-to-school shopping season and a big jump in online sales. The U.S. retailer said net income increased to $608 million, or $1.06 a share, from $549 million, or 87 cents a share, a year ago. Excluding items such as Target's sale of its pharmacy operations, earnings were $1.04 a share, beating the consensus expectation of analysts of 83 cents, according to Thomson Reuters data. Same-store sales for the period ending Oct. 29 fell 0.2 percent. Analysts were expecting a decrease of 1.1 percent. The company raised its full-year earnings forecast to the range of $4.67 to $4.87 from $4.36 to $4.76.